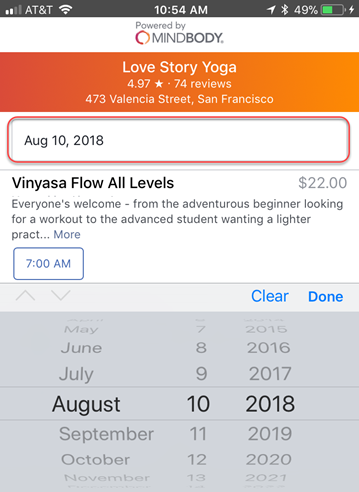 Learn how to find, book, and pay for classes through the Instagram app. 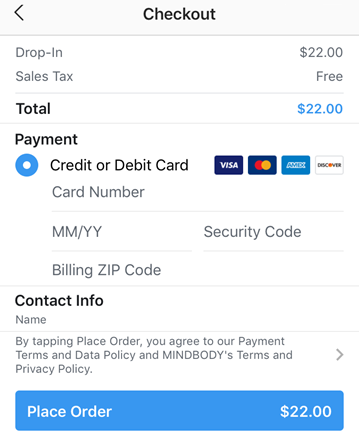 You can find, book, and pay for classes using the Instagram mobile app. 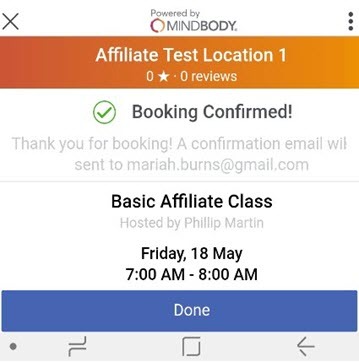 Note: If you don’t yet see the booking flow activated in your social account, stay tuned, as it will be rolling out to all US customers throughout the summer. 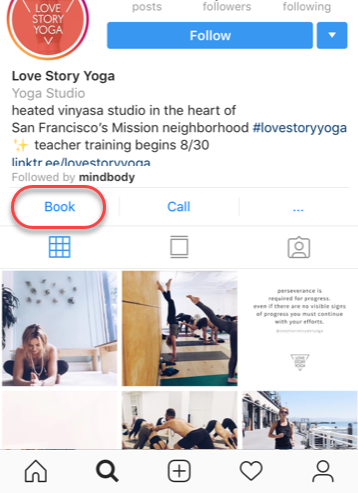 1) Search for your favorite business on your Instagram app, and tap Book under their bio. 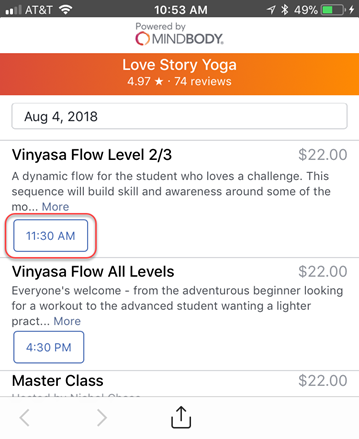 2) Find a class you'd like to attend, and tap on the time you'd like to book. 3) If you'd like to book for a different date, tap on the calendar link to choose another day. 4) Once you’ve selected the date and time for the service you want, you'll see the Checkout screen. Enter your billing info, and make sure that your contact information is correct at the bottom. 5) Feel free to read the Payment Terms and Data Policy before tapping Place Order. 6) After placing the order, you’ll receive a notification that the booking is confirmed. Click Done to close the page.